The first week of term one across Australia, thousands of new preppies burst into classrooms, ready for prep with their crisp uniforms, fresh packed lunches, and big smiles, having benefited from orientation opportunities and been read books such as “The Kissing Hand” and “Amelia Bedelia’s First Day at School” to help prepare them (click here for more great first-day books!). 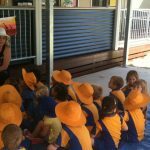 Parents are likely equally keen to see the school year start; their cognitive loads brimming with having organised uniforms, downloaded the Tuck Shop App, and attended ample parent information evenings. Is everyone ready for prep? Everyone ready?! Let’s go …… oh …. wait … maybe there’s someone in your family who wasn’t so ready for the start of school …. ? Your beautiful preppie’s little brother or sister, who may have been overlooked in the organisational rush, might not be as ready for the sudden absence of their big sister or big brother after all? It’s a big change in their life too, when older siblings start school. I had anticipated that my sons would miss each other in response to the Prep start, but if you’ve had a similar first week to me, I was caught off guard by the magnitude of loss my boys appeared to experience. One in Kindy, the other at Prep; the first day saw them rush to hug each other as if they’d been separated for years. Collaborative play replaced their normal WWE antics, and suddenly Kindy-on-his-own brought unexpected bottom lip quivers. I realised that I had spent almost all my time preparing my older son and myself (!) for the start of school without spending enough time making sure his little brother was equally prepared. I made a few temporary changes based on their needs, such as letting go of story time to let them play quietly together before bedtime. It won’t be forever, but it was needed in the now. Create space for exclusive sibling time. The activity doesn’t matter, but organising something for just siblings to engage in – fishing, mini-golf, a day out – where they don’t have to compete with other relationships can be beneficial. If you’ve separated out bedtime schedules, such as reading time or bath times, consider reintegrating these. Letting them camp out on each other’s bedroom floors on the weekend may help too. If schedules permit, involve your younger kids in drop off and allow them to play for a short period in the Prep playground before school. Or similarly, take your preppie to daycare pick up and let them play in their old environment together. Teach your children to consider and celebrate each other. Social skills don’t come naturally, they need to be taught and modeled. This may sound like wondering out aloud how each child is doing (“It’s your sisters first day at school, I wonder how she is feeling?” or “I bet your brother is missing you at Kindy today”), or “let’s remember to ask your brother how his day went today, okay?” Or, “starting school is a huge transition, what’s something nice we could organise for your sister when she gets home this afternoon.” Have a relaxed Friday dinner, like a pizza picnic in the lounge room floor, to collectively celebrate the first week. This could include pics of their most recent Christmas holiday or their developing friendship over the years. Family photos are often welcomed in both preschool and prep rooms. Sibling photos can also be made into key rings, etc. Longer term, consider joint extra curricular activities, like family martial arts, sports, art groups, etc. For next year’s prep siblings, taking an inclusive approach to discussing what school commencement will mean for the youngest members of the family, and visiting their big brother’s or sister’s new school during the orientation period can help prepare them, and get everyone ready for Prep. Understand the biggest emotions that you may be supporting are those of the youngest members of your family when your eldest goes off to Prep. Some pre-schoolers may show temporary behaviour changes and/or need increased reassurance. However, a better idea may be making a personalised photo book that captures both or all of your children in their new environments to help them understand the changes ahead. 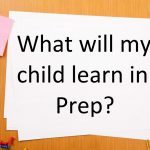 “Is Everyone Ready For Prep” is a guest post from Dr Rachell Kingsbury – Guidance Counsellor (Clin. Psych & Clin. Neuropsych MAPS) and mum of two boys. 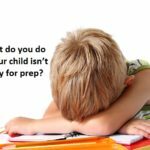 THE FACTS – My child is not ready to start prep! What to do!